Here's another creation for NR2003. 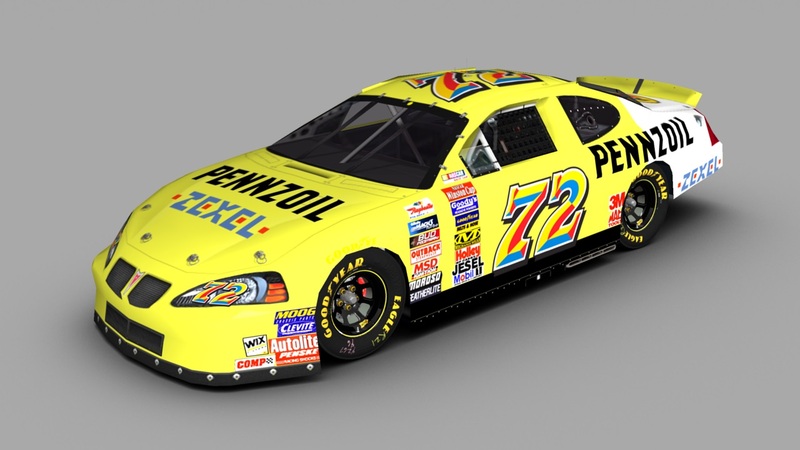 This time, I realized a car for the Original Cup Mod, a fictional Pennzoil-Zexel's Paint Scheme, that is a little inspired to the Pennzoil-Zexel Nismo GTR. Credits: Brian Simpson for template, SRD for contingencies, Google for logos and numbers, The Mod Squad for render. Enjoy It!